Do you have a recipe in your stash that your family just drools over? Well I have one of those that I am going to share with you today. One that will make you wish that summer wasn’t coming to an end because this pie screams summer dessert. It’s made with fruit, so you can convince yourself that its healthy as you grab another slice. This Blueberry Banana Cream pie is so easy to whip up that you wont dread making it on a hot summer day. It will quickly become your go-to recipe for any occasion. But it can also be made with ingredients made from scratch. So pick which is easier for you each time you make it! Homemade whip cream is so amazing, so I’m sure it would add a whole new experience to this pie. And the best thing yet? This recipe makes two pies! So you can whip one up for your party and then keep one for your family! 5. Then split pie filling between pies for the next layer. 6. Finish with other tub of cool whip- half for each pie. When you bring this pie with you to a party, be sure to bring along the recipe because everyone will be asking you for it! It is definitely a crowd pleaser! Your turn! Do you love fruit filled desserts? When this pie grazes against your taste buds, you will feel instant waves of pleasure wash over you. You’ll never be the same. Oooh, I can’t believe how easy this looks! It sound delicious too! Yum! I never would have thought to put bananas and blueberries together like this, but now? Now I WANT THIS NOW! Thanks for linking up to Works for Me Wednesday! Pinning this to make soon…! I thought the same thing, Mary! But my husband is obsessed with this pie! 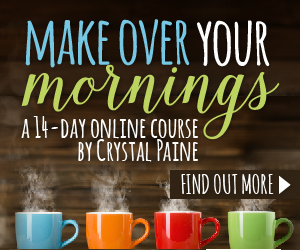 Love your link up-thanks for hosting every week!